It’s time to shatter past, false assumptions and expectations of the Book of Mormon. Let me warn you not to pass along faith promoting or unsubstantiated rumors or outdated understandings and explanations of our doctrines or practices from the past…Consult the works of recognized, thoughtful and faithful LDS scholars to ensure you do not teach things that are untrue, out of date, or odd and quirky. We have been teaching the Book of Mormon and scripture in general in a way that perpetuates outdated understandings and false explanations of its origins and intent. This sets up members of the church with too lofty of a view that is susceptible to faith crisis when they encounter the critical information floating around. In this article, I will collate the logic of over a dozen faithful LDS scholars to introduce a new perspective of LDS scripture, especially the Book of Mormon. In my last blog, I talked about how the Book of Mormon contains “too 19th century sounding” content, especially related to a mature dialogue of Christian doctrines and ideas. This blog will explore whether this is proof that it the BOM is “false” or if there are other, acceptable explanations of why legitimate scripture could be formed this way. A large part of the problem with our view of the Book of Mormon is in our understanding of the Bible and expectation for scripture in general. Many LDS have a very literal, fundamentalist view of the Bible. We assume Moses wrote the Pentateuch. We assume Isaiah wrote Isaiah. We assume eyewitnesses Matthew, Mark, Luke, and John wrote the gospels named after them. We assume that the writings we have in the Bible were written by prophets and apostles of God, who held the priesthood and authority of God. We now understand the Pentateuch was a composite work that came together from a combination of various literary pieces and oral traditions, written hundreds of years after Moses and being reworked and revised until the final state we have. The Book of Isaiah includes chapters that weren’t written until 100 years after Isaiah’s death. The New Testament gospel books contain stories directly attributable to Jesus Christ but also mix in significant expansions and commentaries by unknown authors decades after the death of the apostles. Techniques utilizing concepts of midrash and pseudepigrapha are common. Pseudepigrapha is a genre of sacred writing where the author would falsely attribute the book to a well known historical figure. Christian and Jewish scholars have made many advancements over the past 200 years in understanding how the Bible was formed to identify what is actual history, who were the actual authors, etc. German Christian scholars came up with the term heilsgeschichte that is useful for this discussion. German has two words that are translated into the word “history” in English: geschichte and historie. Historie has to do with facts and dates and things that can actually be proven. Geschichte has to do with reports, stories, and tales that relate to history. German scholars created the word heilsgeschichte, combining the word heils (holy) with geschichte translated into English as “Salvation History” or “Story of Salvation”. The stories recorded by the OT writers are not inventions: they are founded on actual events. However, what appears in the OT is the end result of constant telling and retelling, and corresponds not to actual history, but heilsgeschichte: the story of salvation as viewed through the eyes of Israel’s faith, and in which the significance of divine action is brought home to each new generation of believers. Fundamentalist Evangelical Christians might believe the Bible is 100% historie, and some LDS share that view (a recent Pew Research study showed 57% of Evangelicals and 52% of LDS believe in the Adam and Eve Creation account literally), but most LDS don’t feel the need for that constraint. Many LDS are fine viewing stories like Noah’s flood, the Tower of Babel, and the Garden of Eden Adam and Eve creation account as figurative and not actual history. We’re usually OK with a Gospel Doctrine teacher bringing in authorship theories on the Epistle to the Hebrews, for example. If you notice closely, you see Elder Holland referring to the “author of Hebrews” not “Paul” when he quotes from that book. But, though it’s acceptable to reject a Fundamentalist view of the Bible, it’s not as acceptable to reject a Fundamentalist view of the Book of Mormon or other LDS scripture this way. Perhaps this is due to the Article of Faith. The difference seems to be that we believe the Book of Mormon was translated correctly, but we’re not so sure about the Bible. Which leads us to a discussion of what Joseph Smith meant when he used the word “translate”. The word translate usually typifies a secular process where one who knows two languages studies and compares in order to convert the original language text into the new language text. Since Joseph didn’t know the languages he was translating, this is clearly not what Joseph meant. Using evidence of how Joseph used this word, we must deduce what he meant by “translate”. Let’s look at a few examples of how Joseph used the word translation. Joseph suspected there were errors in the Bible was translated, so he embarked on the “Joseph Smith Translation” of the Bible. Or course we believe the JST is “inspired.” but that is not the same thing as saying it always restores the original texts of the bible books. In 1828 the word translation was broader in its meaning than it is now, and the Joseph Smith translation (JST) should be understood to contain additional revelation, alternate readings, prophetic commentary or midrash, harmonization, clarification and corrections of the original as well as corrections to the original. The Joseph Smith Translation (JST) is not a translation in the traditional sense. Joseph did not consider himself a “translator” in the academic sense. The JST is better thought of as a kind of “inspired commentary”–Joseph was not usually restoring ‘lost text’ (though in some few cases he may have). The Joseph Smith Translation of the Bible is not, as some members have presumed, simply a restoration of lost Biblical text or an improvement on the translation of known text. Rather, the JST also involves harmonization of doctrinal concepts, commentary and elaboration on the Biblical text, and explanations to clarify points of importance to the modern reader. Robert J. Mathews, the former Dean of Religion at BYU and conservative LDS scholar said this about the JST. Joseph Smith neither had nor claimed a knowledge of the Greek or Hebrew languages, nor did he work from manuscripts written in these languages. He was not a novice at translation, however, for just previously, with divine assistance, he had translated the Book of Mormon from metal plates upon which was engraved what is known as the “reformed Egyptian” language. The Prophet Joseph claimed a divine appointment to translate the Bible [D&C 45:60-61; 76:15], and he also claimed divine revelation in the translation process [D&C 76:15-18 …]. It is not a translation in the usual sense, although the Prophet Joseph Smith consistently referred to it as a translation. In the Doctrine and Covenants, too, it is referred to as a translation. From this, we get a good understanding of what Joseph meant by the word translation. It seems he references it broadly to apply to anything a prophet does to produce inspired work that is directly or indirectly related to an earlier text. In the essay the church published on Book of Abraham translation, the church officially authorizes the use of the “catalyst theory”. This is a theory that has been circulating among LDS apologists for many years since the original papyri were found and translated and found that they do not contain the ancient writings of Abraham. The catalyst theory is that though the Book of Abraham was not written on the papyri, Joseph used the papyri as a catalyst to channel the revelatory spirit and was able to produce inspired scripture. …By analogy, the Bible seems to have been a frequent catalyst for Joseph Smith’s revelations about God’s dealings with His ancient covenant people. Joseph’s study of the book of Genesis, for example, prompted revelations about the lives and teachings of Adam, Eve, Moses, and Enoch, found today in the book of Moses. It was assumed for a long time that the Book of Mormon was a very “tight” translation. Recently, many LDS scholars are suggesting it was a very “loose” translation. Or at a minimum, some combination of the two. Tight would mean that it was a God breathed translation word for word converting an ancient text to modern English. Loose would mean Joseph was free to choose words and phrases or even to significantly expand the text beyond its original state. David Whitmer said the following. Joseph Smith would put the seer stone into a hat, and put his face in the hat, drawing it closely around his face to exclude the light; and in the darkness the spiritual light would shine. A piece of something resembling parchment would appear, and under it was the interpretation in English. Brother Joseph would read off the English to Oliver Cowdery, who was his principal scribe, and when it was written down and repeated to brother Joseph to see if it was correct, then it would disappear, and another character with the interpretation would appear. This is a late quote, but we see quotes like this from Emma Smith, Martin Harris, and Oliver Cowdery enough that we believe this was a valid description of the dictation process. Joseph never specifically clarified how the Book of Mormon translation process went. He never added to the simple declaration of the Book Mormon’s title page that it was by the “gift and power of God.” We can trust that we understand a bit about the dictation process, ie how it went from Joseph’s mind to the scribes. But we still don’t understand the translation process, which is how it got into Joseph’s mind. I believe the accounts like David Whitmer’s on how the Book of Mormon was dictated have led us to ignore other clear evidence that suggests the translation process was a very “loose” process. The best insight we get into the Book of Mormon translation process is probably from the Book of Commandments Chapters 7-8, preserved with minor alterations in the Doctrine and Covenants. …Ask that you may know the mysteries of God, and that you may translate all those ancient records, which have been hid up, which are sacred, and according to your faith shall it be done unto you. … behold it is because that you did not continue as you commenced, when you begun to translate, that I have taken away this privilege from you. It appears the translation process was a collaborative process where the translator would “study it out” in his mind. With no ability to read the language of the original text, this is clearly a creative process. Then God confirms whether the creative attempt was right or wrong. Oliver’s mistake was not that he was “guessing” wrong, it was that he sat with an empty mind expecting God to give him the translation. Additionally, what is meant by right in “if it be right”? We see from the KJT translation process, that clearly right doesn’t always mean “equating to the original text”, but right may include any text which “harmonizes with other scripture” or otherwise brings forth God’s inspired word. In the church’s essay on Book of Abraham, the translation process of the Book of Abraham and Book of Mormon are compared several times. Both were inspired by a physical document. In both cases, Joseph did not know the language of the original document. In both cases, it appears the original document was not necessary to the process other than possibly as a catalyst. Neither the Lord nor Joseph Smith explained the process of translation of the book of Abraham, but some insight can be gained from the Lord’s instructions to Joseph regarding translation. In April 1829, Joseph received a revelation for Oliver Cowdery that taught that both intellectual work and revelation were essential to translating sacred records. It was necessary to “study it out in your mind” and then seek spiritual confirmation. More insight into the prophet’s understanding of the concept of “translation” comes from how he dealt with the Book of Mormon text after it was translated. 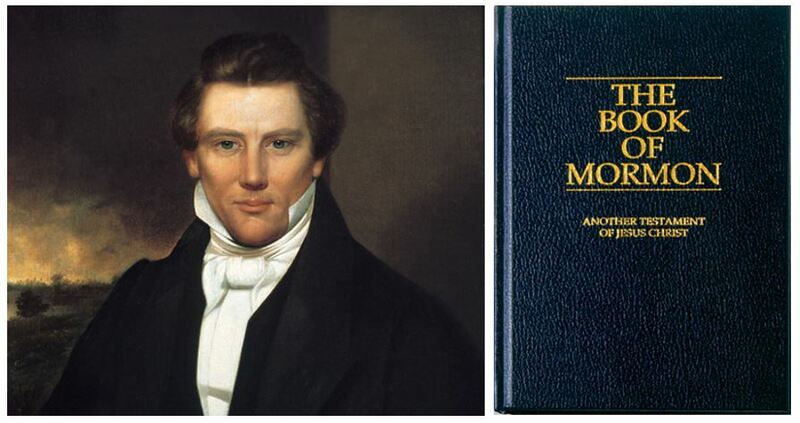 After the initial publication of the Book of Mormon in 1830, Joseph Smith continued to revise the book and fix errors with updates in 1837 and 1840. Over 2,000 corrections were made, mostly grammar and spelling. Some of those were actually fixing mistakes that were correct in the original manuscript but changed in the printed edition. But many of the changes were doctrine related, especially changing references of Jesus Christ as “God” to “Son of God” or “Eternal Father” to “Son of the Eternal Father”. Another was to change the converted Lamanites from “white and delightsome” to “pure and delightsome”. A similar process took place for the Book of Commandments. Joseph continued to rework revelations, even after they were published. Joseph saw the canon as open. He saw himself as authorized to make changes freely as he saw fit. As his understanding improved, he felt authorized to update the Book of Mormon and Book of Commandments. He clearly saw revelation and translation as fluid, dynamic concepts. Now, let’s get practical and look at two theories that LDS could adopt that incorporate these ideas. Blake Ostler first introduced his Expansion Theory in 1987 article in Dialogue, “The Book of Mormon as a Modern Expansion of an Ancient Source”. Ostler views the Book of Mormon as a combination of an ancient text and Joseph’s expansion, resulting in a “modern world view and theological understanding”. According to Ostler, similar to the way the Bible came together, with authors incorporating elements of pseudepigrapha, midrash, and exegis, the Book of Mormon seamlessly combines the ancient text with Joseph’s expansion without defining when the breaks come. Critics cry “why didn’t he tell us he did this? He claimed it’s all from ancient prophets!” Ostler would answer that Joseph, seeing himself as a prophet with authority from God to do so, brought forth scripture, in the exact same way it was done anciently, which is to embed the modern with the old together, and not explicitly define the difference. The expansion theory has become more popular as more faithful scholars and lay readers recognize the modern elements of the Book of Mormon. LDS scholar Jan J. Martin, makes a convincing and interesting case that the Book of Mormon was aware of 16th century debates between William Tyndale and Thomas More when it comes to the English translation of passages in the Bible. Richard Bushman: Some years ago if someone told me the Book of Mormon wasn’t historically accurate, that it was some kind of modern creation, I would have thought they were heretical. I wouldn’t say that anymore. I think there are faithful Mormons who are unwilling to take a stand on the historicity. I disagree with them, I think it is a historical book, but I recognize that a person can be committed to the gospel in every way and still have questions about the Book of Mormon. Bill Reel: You would make room for people in the church who don’t believe the Book of Mormon is a historical text but somehow Joseph is giving us scripture from a modern perspective? Richard Bushman: Yes I would. I know people of that kind. And they are very good people. A more promising avenue for the faithful, it seems, is to acknowledge that we probably know less about what constitutes an ‘inspired translation’ than we do about ancient Israel. He then goes into an explanation about midrash, showing how the Book of Mormon could be using a similar technique. Hardy also used an interesting example to explain how he views BOM historicity. He used the example of the Broadway musical 1776. The play is a modern, artistic adaption of a prior literary work, which was a non-historian’s view of a historical event. Comparing this kind of view to the Book of Mormon, we should not be surprised to see anachronisms in such a work like Joseph’s expansions on Christian principles or historical issues like horses and chariots in America or the back story of the Jaredites including the Noah’s flood and Tower of Babel myths, but we still understand there to be an actual history behind it. In these three verses, we find what most critical scholars would call clearly Christian phrases; that is, the description is so precise that it is evident it was added after the event. The technical term for this phenomenon is vaticinium ex eventu. The specific details are the clarification that the Messiah will be called ‘Jesus Christ,’ that his mother will be called Mary, that salvation is through faith—indeed faith on his name—that many will say he has a devil, that he will be scourged and crucified, and finally that he will rise on the third day from the dead. Do not these three verses contain a Christian recital of Christ’s life? How are we to evaluate this new observation? Does it not vitiate the claim that this section of the Book of Mormon, Mosiah, was written before 91 B.C.? Not necessarily so, since Mormons acknowledge that the Book of Mormon could have been edited and expanded on at least two occasions that postdate the life of Jesus of Nazareth. It is claimed that the prophet Mormon abridged some parts of the Book of Mormon in the fourth century A.D. And likewise it is evident that Joseph Smith in the nineteenth century had the opportunity to redact the traditions that he claimed to have received. Today biblical scholars are making significant and exciting discoveries into the various strata of ancient documents through the use of what is called Redaction Criticism, a method employed to discern the editorial tendencies of an author-compiler. Perhaps it would be wise for specialists to look carefully at this phenomenon in the Book of Mormon. The recognition that the Book of Mormon has been edited on more than one occasion would certainly explain why certain of the messianic passages appear to be Christian compositions. Some may see the expansion theory as compromising the historicity of the Book of Mormon. To a certain extent it does. The book cannot properly be used to prove the presence of this or that doctrine in ancient thought because the revelation inherently involved modern interpretation. When we find aspects of the book that show evidences of an ancient setting or thought that is best interpreted from within an ancient paradigm, we should acknowledge the possibility that an ancient text underlies the revelation. Such a model does not necessarily abrogate either the book’s religious significance or its value as salvation history. After all, much of the Bible is a result of a similar process of redaction, interpolation, and interpretation. The LDS scholars that support this theory generally seem to agree on a couple traditional points. So this theory can go a long ways to explain some of the traditional criticism of the Book of Mormon, ie existence of modern content, existence of some anachronistic problems like horses, etc, it may not be sufficient to explain ALL the criticisms, such as the existence of an ancient text at all. I say it “may not be”, because the theory is still in its infancy, and there may be faithful LDS more liberal than Ostler and Hardy but still more orthodox than the theory I’ll describe next. I’m not sure how far the Expansion Theory can be pushed in this way. Time will tell, as we see more developments. Next, I will explore the theory I favor, which doesn’t assume any ancient text or ancient gold plates. I borrow this logic from Progressive Christian scholars. This is a more unorthodox theory in which the Book of Mormon could have no (or little) actual historie behind it and we should treat it purely in the heilsgeschichte tradition the way Christian scholars view the Bible. As scholars have come to a sharper view of how the Bible came to be and what is and what is not actually historical, educated Christian and Jewish believers have revised the logic of their faith. With 200 years to work on this, we now have a mature model of what that looks like. The style of Scriptural hermeneutics (interpretation of the Bible) within liberal theology is often characterized as non-propositional. This means that the Bible is not considered a collection of factual statements, but instead an anthology that documents the human authors’ beliefs and feelings about God at the time of its writing—within a historical or cultural context. Thus, liberal Christian theologians do not claim to discover truth propositions but rather create religious models and concepts that reflect the class, gender, social, and political contexts from which they emerge. Liberal Christianity looks upon the Bible as a collection of narratives that explain, epitomize, or symbolize the essence and significance of Christian understanding. Liberal Christians will typically view subjects such as the Garden of Eden, Noah’s Flood, God’s ordering of the genocide of the Amalekites, and for some even the virgin birth and resurrection as metaphorical and not literal. Progressive Mormons using this theory of scripture would view characters such as Nephi and Alma and the existence of gold plates in a similar way: not to be taken literally but containing metaphorical spiritual value. Just as this view of the Bible does not deny the reality of God, it does not deny that the Bible is “inspired by God.” But it understands inspiration differently. In recent centuries, some Christians have understood it to mean “plenary inspiration”: that every word is inspired by God, and thus has the truth and authority of God standing behind it. For them, inspiration effectively means that the Bible is a divine product. Within the emerging paradigm, inspiration refers to the movement of the Spirit in the lives of the people who produced the Bible. The emphasis is not upon words inspired by God, but on people moved by their experience of the Spirit, namely, these ancient communities and the individuals who wrote for them. By a sacramental approach, I mean seeing the Bible as sacrament. Indeed, this is one of its primary functions as sacred scripture. A sacrament is a finite, physical, visible mediator of the sacred, a means whereby the sacred becomes present to us. A sacrament is a vehicle or vessel of the sacred. In Christian language, a sacrament is an “outward and visible sign” that functions as “a means of grace.” Sacraments are “doors to the sacred” as well as bridges to the sacred. Something finite, something of this world, becomes a means whereby the sacred becomes present to us. I believe we can view the Book of Mormon in the same way these Liberal Christians view the Bible. I like Blake Ostler’s definition of scripture: “a synthesis of human creativity responding to divine persuasion.” Now, I guess we can have a sliding scale of how much one sees the human element and how much one sees the divine element. A very fundamental thinking Mormon would say 100% divine. A very progressive thinking Mormon could say 100% human. Others would say some sort of split. I believe all could love and revere the Book of Mormon, faithfully serve side by side in the LDS church, and bear testimony of its truthfulness. A big question on whether this view is tenable, is how we reconcile what Joseph said about the Book of Mormon. Joseph clearly said the Book of Mormon is an actual ancient record translated from actual gold plates after seeing and conversing with an actual angel. I don’t have any perfect answers for this, but here are a couple points. Joseph might have misunderstood. By the church’s own admission, he didn’t understand what the Book of Abraham papyri was. My post reviewing Ann Taves’ naturalistic theory of the gold plates gets into the gold plates aspect of this. Maybe we misunderstand Joseph. He clearly used the word translate in a way we misunderstand him; what else could have we misunderstood? Christian scholars believe the early Christian fathers and other authors of the Bible acted in very similar ways (some might call it pious fraud) as Joseph Smith when it came to the creation of scripture, and they somehow find a way to make sense of that and maintain their faith in their religion. Progressive Jewish scholars do the same. Our “sins” are more recent and took place in an age with more documentation. Can Joseph be forgiven the same way the authors of the New Testament have been forgiven? Another question is how possible will it be for literal/fundamentalist Mormons and progressive/metaphor Mormons to coexist in the same church and congregations. Liberal Judaism and Christianity have set a clear precedent that the model is valid. But, it seems a split in a church occurs to accommodate these views. It’s not as typical to find believers with this wide of range on the spectrum worshiping together in the same congregation. A challenge for Mormonism will be to see if an accommodation can be made without requiring a split in the church. In my view, so many of the positives of the church come from the community and organizational strength, I hope a split is not required. Watching how the Catholic church navigates this issue would be fruitful. In a previous article, I showed how the Book of Mormon contains very specific ideas and phrases coming from 19th century discussion of the doctrine of the atonement of Jesus Christ. This article’s purpose was to explore whether that’s “OK”. Whether the reader is prepared to accept my “New Mormonism” sacramental paradigm view or prefers the more traditional expansion view, I hope it can be accepted that the inclusion of modern elements in the Book of Mormon or historical inaccuracies (such as horses and chariots) does not automatically disqualify the Book of Mormon as scripture. I love the Book of Mormon. The response LDS have to discovering the origination of the Book of Mormon might not be as “direct from God” as we might have thought shouldn’t be to discard it or downgrade it. We may not be as certain about things as we thought, but that’s OK.
My favorite moment researching this topic was finding this gem from Anthony Hutchinson’s article on Mormon Midrash. He talked about the feeling of loss he had discovering that scripture, whether it be the Bible or the Book of Mormon, most likely is not “God breathed”. This leads us right into larger theological questions. The issues raised here ultimately feed into greater religious and existential questions of the uncertainty of all human knowledge, even that affirmed to be revealed from heaven. This issue is the one potentially most disturbing to Latter-day Saints who feel that somehow revelation resolves the problem of human uncertainty. I personally feel that we must be honest, must try to see the world as it is. If that means living with uncertainty, so be it. Such a view sees scripture and revelation less as cures to the disease of human uncertainty, than as stopgap medicines that help us endure a sometimes painful condition — not a disease, really, but simply the way we are. The stories we hold sacred, and tell to one another, rather than ridding us of doubt and giving us certainty, serve to help us raise our sensitivity and desire to serve, help us to find moral courage within ourselves, and make some sense, however fleeting, of our lives. When I first came to the conviction that Adam and Eve as described in Genesis were not historical figures, I suffered a sense of loss. When I realized that Joseph Smith’s opinions of Genesis were more reflective of his own understanding as a nineteenth-century American than of the ancient biblical tradition, I again experienced a certain disappointment. But as I came to see that these awarenesses gave me new understanding of these creation stories I loved so, and as I further understood the meaning and significance of the various scriptural authors’ contributions to the creation-story traditions outlined here, I saw that the stories still spoke deeply to me. Indeed, they in some ways gained new power because of their newly acquired clarity of meaning. Though my understanding of religious and scriptural authority changed, the stories’ power endured. Many in the LDS church feel like they are going through faith crisis. Prior assumptions, based in fundamentalism and literal understanding of scripture and church history, are coming crashing down. This leads to uneasiness. It’s very difficult to move beyond this comfortable certainty that fundamentalist religion provides, and into the discomfort of uncertainty. There is a loss that we experience. But there is also growth and potential for deeper enrichment as we seek the truth about God and religion.